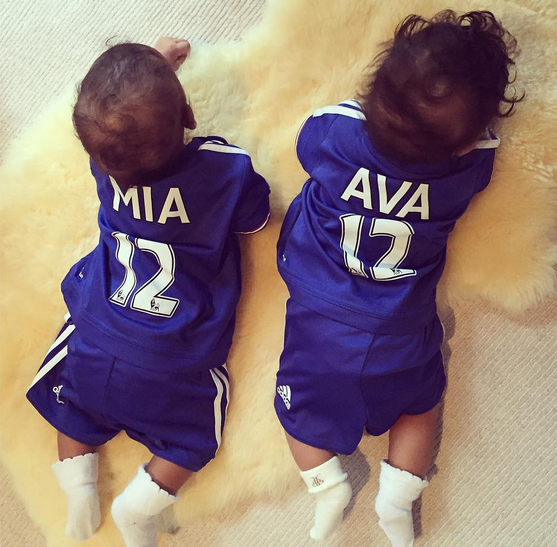 Cute photos of Mikel Obi’s twin daughters dressed in Chelsea club jersey! Ava and Mia are confirmed little fans of the blues, Chelsea FC, a club their dad Mikel Obi plays for! Merry Christmas from De Santos Hotel! Chelsea Sack Jose Mourinho as manager! Pope Francis Celebrates 79th birthday!